How often do school administrators completely "let go" and completely trust in their staff to take the lead in planning professional learning experiences? At Elk Grove High School it is a common occurrence, and was notable most recently in our October Institute Day. 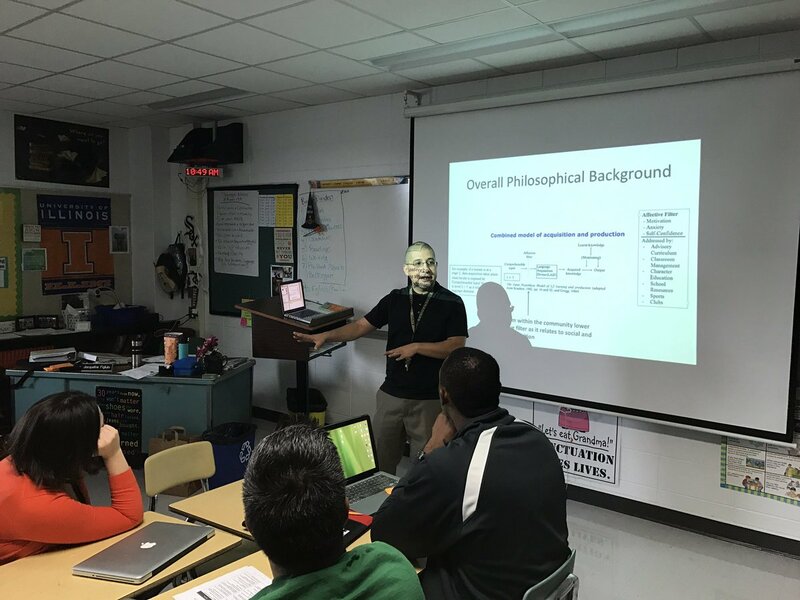 Guided by school and district Redefining Ready goals, as well as input solicited from the entire staff, a team of 20 certified staff began collaborating in the planning from the first weeks of the school year. You can read more about the planning for the day in this previous post. An introductory presentation connecting our practice to Redefining Ready and building goals. Department Google Docs to crowd-source notes and resources and multiply learning long after Institute Day is over. 19 workshops facilitated by 33 EG staff members and one guest presenter from Amita Health. Team-building activities including an all-staff Trivia contest. Learning Labs to collaborate in PLCs and interdisciplinary groups to apply learning from the morning workshops. 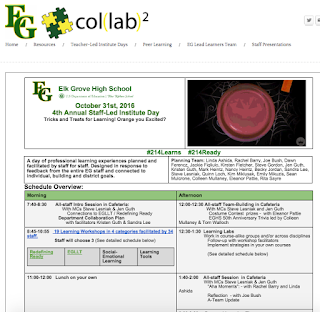 For more details of the schedule of the day, check out the Collab Lab Website. 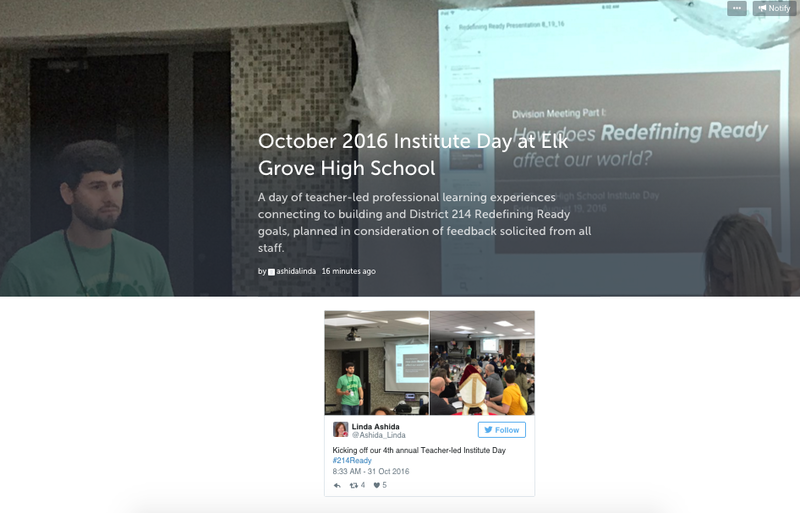 To get an idea of what the day "looked like," check out this Storify.